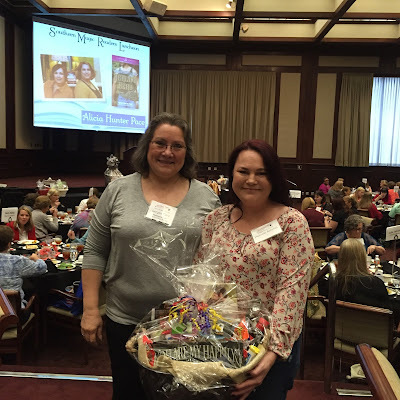 The 2015 Southern Magic Readers Luncheon has come and gone. I met some new authors and reconnected with my writer friends. Gift baskets galore were given away with many readers leaving happy. Here's a peek at one of my baskets and the winner.